The Tutorium offers both online and in person test preparation classes. Our expert instructors have helped hundreds of students improve their TOEFL and IELTS scores. I wanted to tell you that I’ve already been given the TOEFL scores and I’m very happy. The test assignments were exactly the same we’ve been practicing. The course at UIC and all your tips were really helpful. I don’t think I could have scored so well without it. Note: If you don’t see a course that fits your schedule, we can offer it as private instruction. This 10-week course is designed to prepare students for the challenges of the TOEFL iBT. The TOEFL iBT evaluates the four core language skills: speaking, listening, reading, and writing. Every problem tests as many as three language skills at once. This course helps students gain experience and confidence with the TOEFL iBT, leading to better test results. $900 ($875 for UIC members and returning students) Tuition includes all class materials. This 8-week course gives an overview of what students can expect on the IELTS, then focuses on effective techniques for completing the reading, writing, listening, and speaking sections of the IELTS Academic test format. Students analyze sample tests to learn the different types of IELTS questions and practice the best ways to answer them. $750 ($725 for UIC members and returning students). Tuition includes all class materials. This 5-week course focuses on learning the test-taking strategies necessary for succeeding on the Reading and Listening sections of the TOEFL iBT. Self-paced presentations teach you test strategies, and your instructor assigns detailed practice exercises and provides individualized weekly feedback and advice. In this course, you are able to work at your own pace reviewing presentations, studying vocabulary, and completing practice exercises and tests. 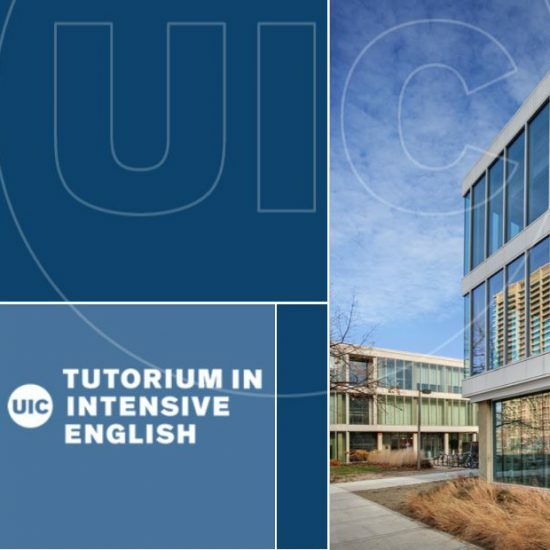 $250 ($225 for UIC members and returning students) Tuition includes all class materials. This 5-week course combines grammar and writing instruction to help you prepare for the Writing section of the TOEFL iBT test. Course documents provide a review of problematic grammar concepts in order to help you produce error-free sentences, while self-paced presentations teach you about the appropriate content and organization of each of the two TOEFL Writing tasks. Every week, you will be asked to write one essay, and you will receive individualized feedback and advice from the instructor. This 4-week course focuses on learning the test-taking strategies necessary to succeed on the Speaking section of the TOEFL iBT. Self-paced presentations teach you test strategies for each of the six TOEFL Speaking tasks, while speech templates help you organize and deliver an appropriate response. In this course, you work at your own pace reviewing presentations and sample speaking tasks and responses, and every week, you submit two recorded TOEFL Speaking responses to the instructor for individualized feedback and advice. 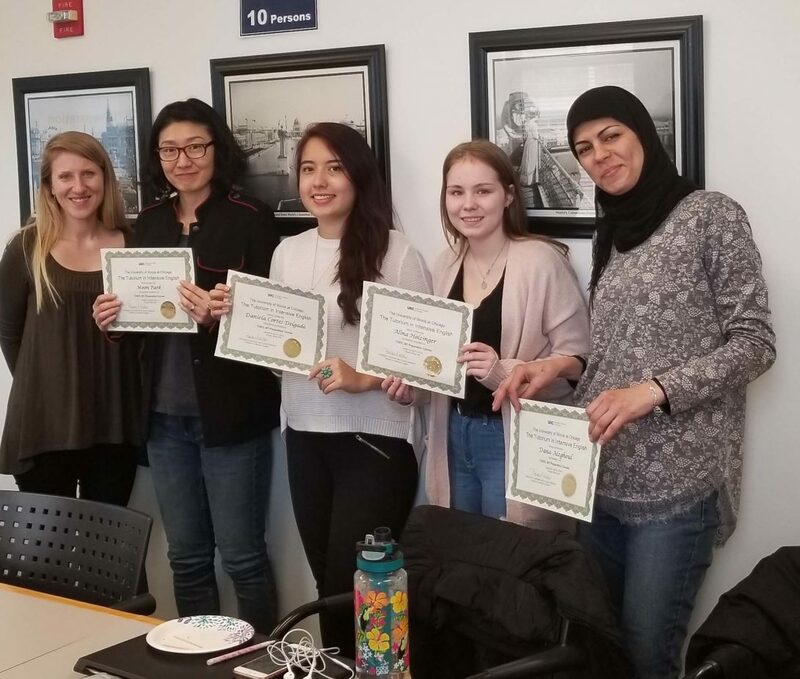 If you need to improve your score in all 4 TOEFL sections, enroll in our complete course package (Online TOEFL Prep: Reading and Listening, Online TOEFL Prep: Speaking, and Online TOEFL Prep: Writing) for a reduced tuition fee of $850 (a $100 discount). You can take these courses together in one semester or separately over three consecutive semesters. This 3-week course provides practice with all sections of the TOEFL iBT. The instructor helps students understand different question types and how to answer them correctly. Students also receive individualized feedback and instruction on how to improve their spoken and written responses to test questions. $600 ($575 for UIC members and returning students) Tuition includes all class materials. This 3-week course helps prepare learners for the Academic IELTS test. Students practice with techniques for improving test-taking strategies for all sections of the test and receive individualized feedback. This 3-week course provides an overall introduction to the speaking and listening sections of the TOEFL and IELTS tests, the essay format required on the TOEFL and IELTS tests, and ways to increase reading speed, comprehension, and vocabulary for the reading sections of the TOEFL and IELTS tests. Students improve their skills through beginner-level exercises that are based on the reading, writing, speaking, and listening sections of the two tests. $600 ($575 for UIC members and returning students). Tuition includes all class materials. Contact us to learn more about our TOEFL and IELTS Test Prep courses.